Owning a Spartan Mower is unlike owning any other mower. Because of the smooth and comfortable ride, clean cut, and overall superior design, this zero-turn mower makes you feel like you are driving a completely different machine. 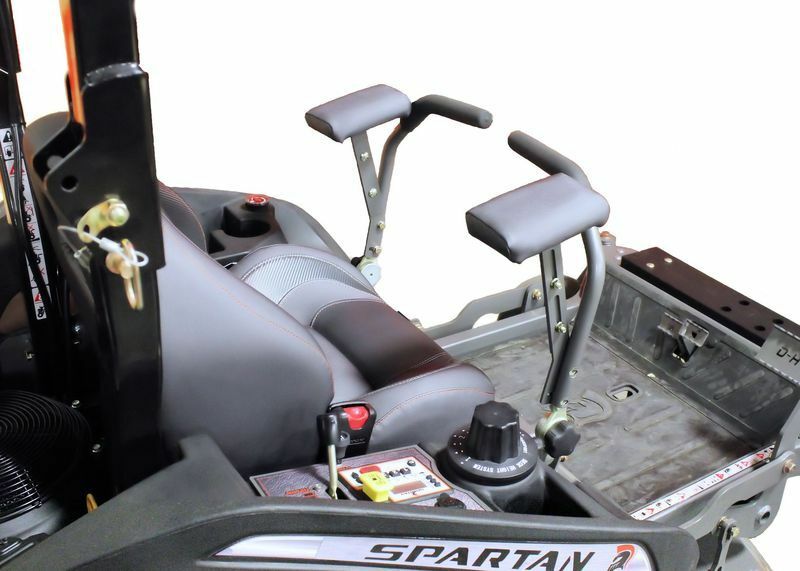 And if you want to take your Spartan Mower up a notch, take a look at some of these Spartan accessories to make your ride even more comfortable and spiff up your Spartan. For the most part, mowing your lawn with a Spartan Mower is not only easy, but it can also be relaxing. However, if you are mowing a field in the bright sun or the temperature outside has reached the highs for the day, then mowing can quickly become a chore. 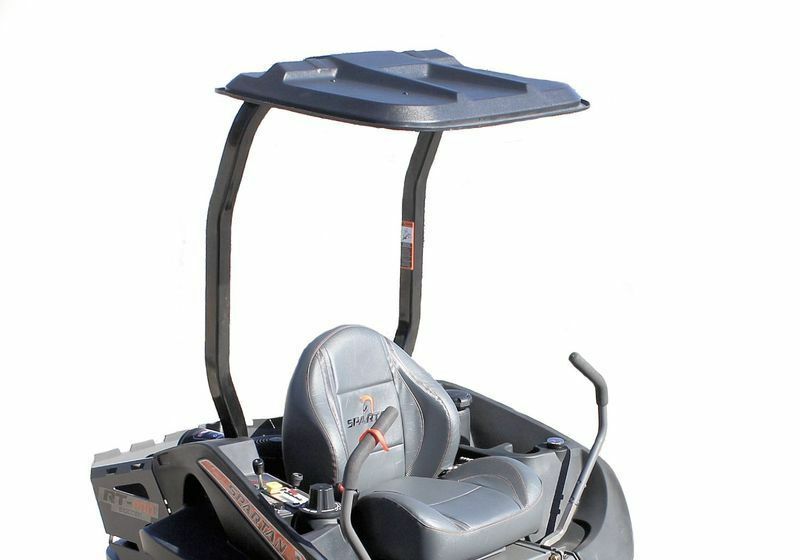 Adding a little shade using the canopy from Spartan Mowers is just what you need. The Spartan Canopy is made with high molecular weight polyethylene plastic. It is impact, extreme weather, and chemical resistant. Best of all, it is easy to install with bolt-up installation and fits all Spartan models. We know you don’t need chrome exhaust tips on your lawn mower. However, when you take a ride on a Spartan, the difference compared to other mowers is crystal clear. If you feel like you are driving a sports car, then it wouldn’t hurt to make your mower look like a sports car. 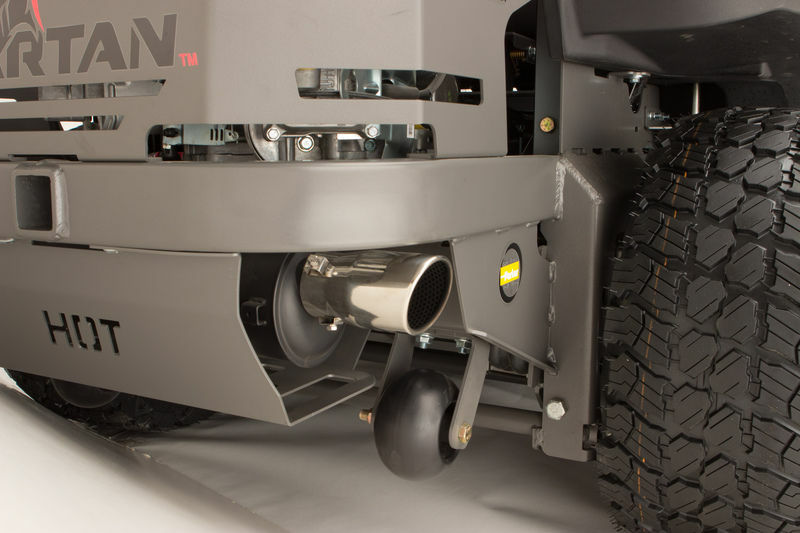 The chrome exhaust tips can be upgraded on all Spartan RT models, Spartan SRT Pro, and Spartan HD models. They come standard on the Spartan SRT XD. If you intend on spending hours on your Spartan Mower, then you will want to look at the Spartan Stress Pads. The pads allow your arms a place to rest as you mow. This accessory upgrade is available on all Spartan RT models, Spartan SRT Pro, and Spartan HD. The stress pads come standard on the Spartan SRT XD. Whether you have a small or large amount of mowing to tackle, adding in your favorite tunes can make the time go by quicker. 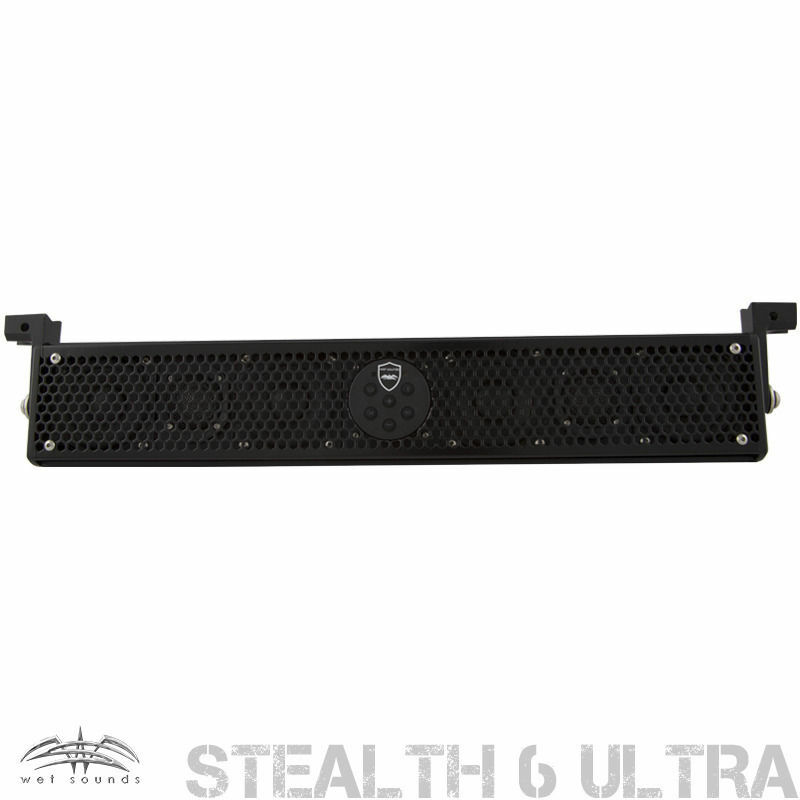 Check out the 6-speaker sound bar from Wet Stealth Sounds. This bluetooth sound bar is waterproof and can easily be installed on your mower’s ROPS with brackets. You can find this high-performance speaker on our partner site, BADDAWGACCESSORIES.com. Listen up Spartan RT owners! Did you know that you can upgrade your seat to the Spartan SRT Seat with TC3 Elastomer? That’s right. The seat on the Spartan RT is great, but the seat on the Spartan SRT is like riding in a sports car. With middle and back support, this seat is just what you are looking for to add that perfect touch of comfort. And with neoprene cushioning used to absorb shocks and jostling, your Spartan Mower will offer one of the smoothest rides of any mower on the planet. All Spartan Mowers are designed with the operator in mind. 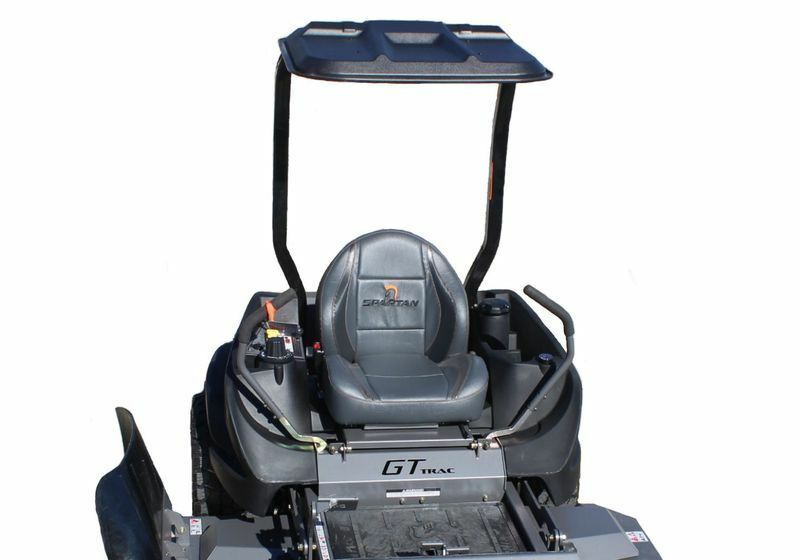 From the traction to the seats down to the tires, Spartans Mowers are one of the most comfortable mowers on the market. And with a few upgrades like the Spartan accessories mentioned above, you can customize your Spartan to fit your needs...and your wants. Visit our website and try out our BUILD YOUR OWN MOWER feature to see how easy it is to customize a Spartan. You can also find a Spartan Mower Dealer near you by using our DEALER LOCATOR. Just type in your zip code and visit a dealer today to check out the Spartan mower in person or see what other accessories you can add to your Spartan mower.